Awoke to the sound of rain on the tent. Since we had nowhere we needed to reach (especially not home) we went back to sleep. When we awoke again it was still raining :(. We waited for a bit until the rain stopped even though it remained very cold. Had a breakfast of bread and salami then washed and started to pack. When that was done we rode off in front of an audience which is never an easy experience. Once again we had a slight navigational (and GPS) blooper but corrected ourself and headed towards Calais. Went through a few small towns then over a small river and on towards Le Touquet where the beach race is held. Then on through a seafront town full of seafood restaurants and shops selling fish straight off the boats. we stopped off in Boulogne sur Mer for petrol and lunch (at at steakhouse place of very high quality). I had bef on a spear like thing and Isabel had the same with veal. Behind us was a mother with two small children who ate adult food in adult portions. The unhealthiest eater was the mother! It was good to see. We have now proved to ourselves that we can do this. We will be back and soon! © 2010 – 2016, fatman-overland. All rights reserved. Awoke to a cold grey day, fortunately without rain. Had a heart breakfast at the hotel (unfortunately an extra 9.50 Euro each but well worth it) before packing the panniers and paying. Before we rode away we visited the local Butcher/Charcuterie for some meat for lunch and tonight. we got some “flat sausages” and Beef vinagrette. We also visited an “Epicurie” for vegetables and some tins. After that we rode to the next town and turned towards Guise along some nice roads. There we turned towards St. Quentin which, disappointingly did not have a prison but did have a petrol station where we filled up. 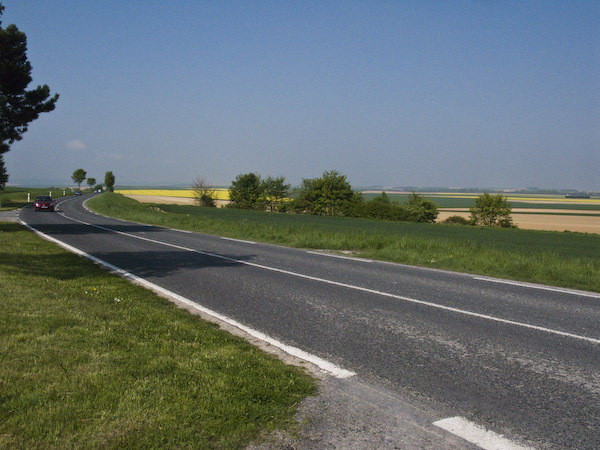 We then headed towards the start of the longest straight road (on the map anyway) that I have seen heading towards Amiens. The road has very few bends and must, to my mind, at least be Roman in origin. We passed through a number of small, pretty towns including the impressively named Villers Brettenaux. Just before Amiens we stopped in a parking area alongside a busy small airfield for lunch. One more memory to savour. We ate bread and the Beef vinagrette which was very nice indeed – tasting like a very good corned beef – all that was missing was some very nice tangy dill pickles. After that it was back on the bikes. 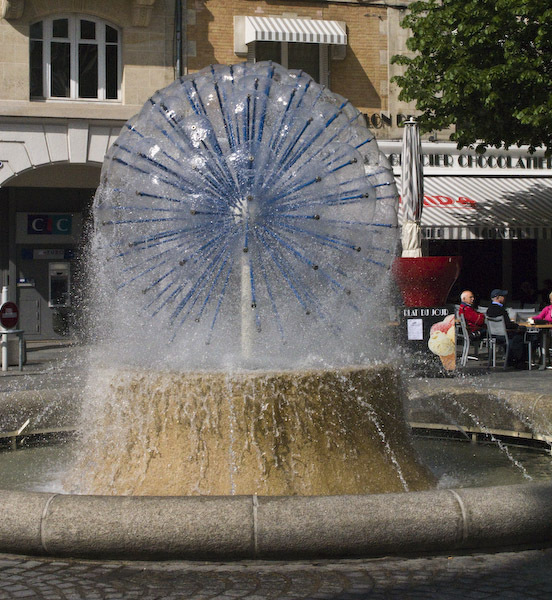 We skirted Amiens heading north to St Pol sur Ternoise again passing through some pretty towns. 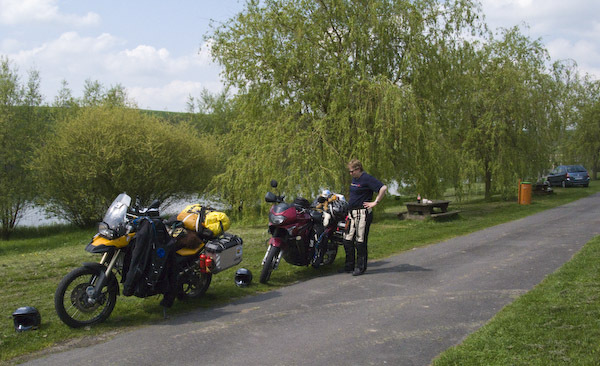 Our plan was to ride there then stop for a coffee but on arrival we fained to find a parking place or cafe :(. We did stop about a mile out of town where I realised we were not far from Agincourt (OK when I say “realised” I mean I typed “Agincourt” into the GPS and saw that it was only about 8 miles away 🙂 ). Soon we were on our way. Agincourt (Or Azincourt as it is correctly spelled) is well off the main road and the battlefield is now, as it was in 1415, a farmers field that you cross (by road) as you enter the village. You can see why the French struggled though. There is a small museum in the village dedicated to the battle. It is 7.50 Euros to get in which is, to my mind, too much to pay. They have some nice exhibits (especially the one showing the lack of visibility in a knights helmet) and some animated displays but not 7.50 Euros worth especially with no cafe. It was, however, a nice diversion. Happy birthday to me! Yes today is my birthday. Always, for me, a depressing day, full of memories of achievements not achieved, of memories of people no longer with us. Strange maybe but this is always a day I do not look forward to. After breakfast at the hotel we packed the luggage, got the bill for the room (85 Euro/night + 10 Euro for parking – ouch! – definitely not worth that!) and left. 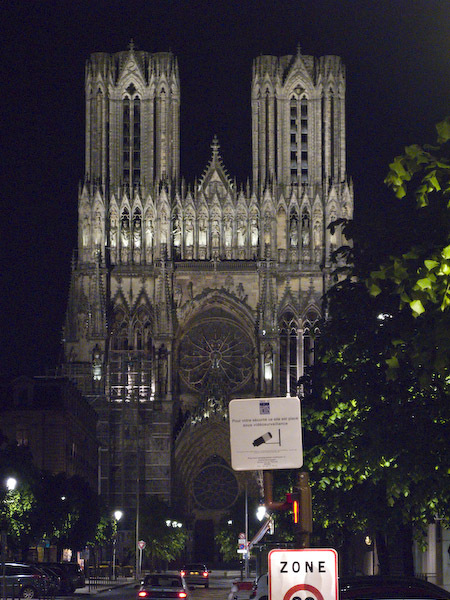 We decided to head to Sedan via Vouziers andwewerevery glad we did. A very nice road with stunning scenery. Open, more agricultural but brilliant. 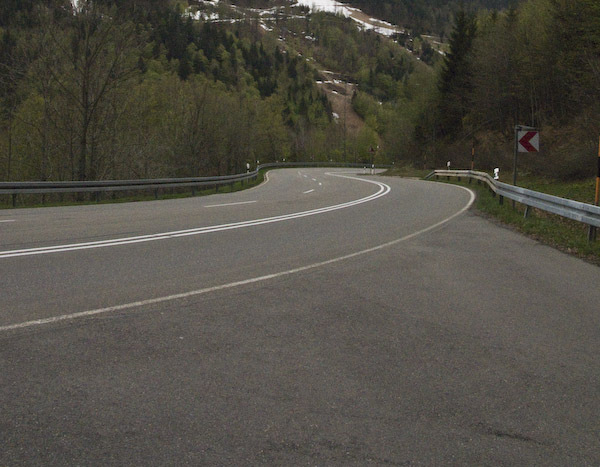 The road was mainly “straight” with a few sweeping bends – nice easy riding. Since we are on our way home we took it slow (50-55 mph). On the way we went through the town of Pontfraverger-Moronvilliers which appealed to my puerile sense of humour. We filled up at Vouziers which was as it was a public holiday in France and the pump oly had a card reader with which to pay. Unfortunately all the instructions were in French. 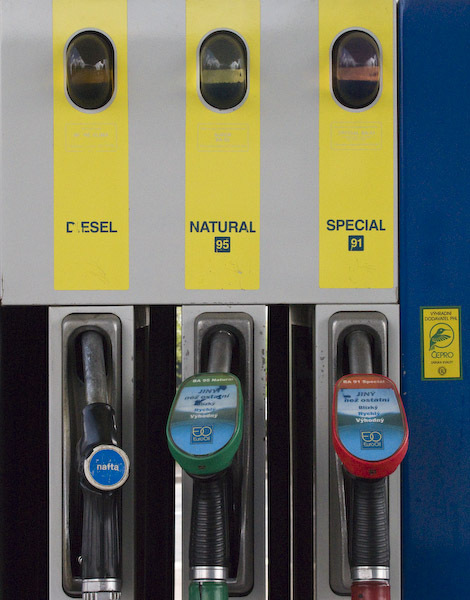 Anyway Isabel managed to work it all out (well we hope she did – otherwise we have managed to purchase the whole petrol station – we will see when we get the credit card bill). Off we went again and at about noon we stopped at a shop for some bread for lunch. We also purchased some nice strawberries because, well you have to don’t you? We then saw a sign to “Lac du Baison” so we decided to go and see what it was (yes I know it was a lake but we wanted to see how big etc.). This was a good move because the lake itself was very pretty. We stopped at a parking/picnic place by the lake for lunch. We feasted on bread, tinned herring, coke and, of course, the strawberries. Simple, maybe, but in such a setting with a blue sky and the sun on our backs pretty damn perfect! 🙂 There were a lot of grebes on the lake, all seemingly unbothered by our presence. After lunch we continued on towards Sedan. 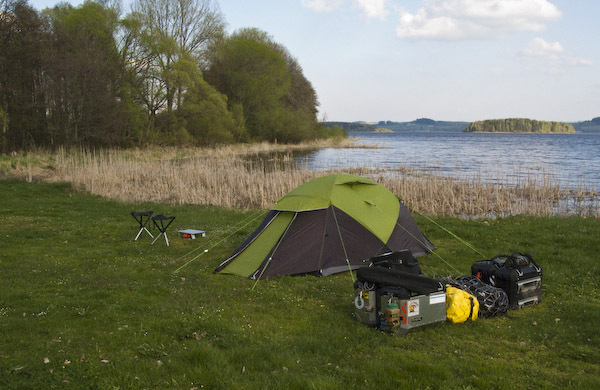 There were camping sites and more picnic places (including one with barbecue facilities) along the lake. The scenery had become more wooded but was just as pretty. Eventually we entered Sedan where we had thought to get a hotel for the night. One look at the town told us (probably unfairly) that Sedan wasn’t worth it so after a quick conference at the roadside we decided to head for La Chapelle. As we rode through Charleville-Mézières we decided to turn off at Renwez to see what hotels were nearby. Looking at the GPS showed that there was a hotel called “Abbeye de Sept Fontaines” about 8 miles away. It sounded nice so we decided to go and see. Indeed it was very nice but completely out of our price class. After a very dodgy u-turn in front of the parked Porsches and Bentleys and headed for another hotel shown in the GPS. After ignoring the GPS trying to take us off across a grass field we got to the hotel. Unfortunately the parking area, roads and, in fact, the whole town were chock-a-block full of people there for a fete or some such thing. We decided to continue and see what we could find at La Chapelle. When we got there it was OK as a town so we once again plumbed in the GPS which indicated the presence of a hotel south of where we were. Of course, being us, we were pointing North so we turned the bikes around and off we went. The only problem was that we couldn’t find the hotel – bummer! So ignoring the GPS we headed for the next town – nothing – then, through sheer bloody-mindedness on my part, the next town where we struck gold (and platinum and diamonds if you ask me). Riding through the town we passed a “hotel” sign. As there didn’t seem to be anything else we decided to turn round (we are getting a lot of practice at that today!) and see if they had a room. We took the panniers to the room up a nicely creaking wooden spiral staircase that was so old it had a camber. 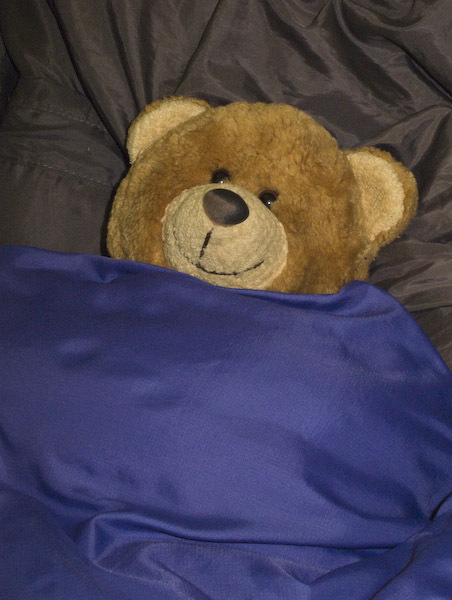 We then showered and laid down for a rest because Mr Teddy was very tired. About 7 we arose, changed and went for a quick walk in the village (Etreaupont) before heading back to the restaurant for a birthday meal. Three course and cheese for 25 Euro together with a very nice bottle of St emilion (2005). I had Foie Gras in Aspic followed by young rabbit in mustard and cider sauce, cheeses (including Bleu de Brest which is very nice) and creme brulee. Isabel had Warm Duck Pate, Veal in creamy mushroom sauce, cheeses followed by a hot chocolate “thing” (her description not mine!) followed by coffees. All very very nice. After that we staggered the few yards (mercifully) back to the room (where the camber on the stairs was very useful), closed the window shutter (brilliant invention by the way) and were dead to the world. All in all not a bad birthday! A day for exploring. No riding today but lots of walking the few square kilometers around the cathedral. After a, I must admit, good simple breakfast at the hotel (extra of course) we backed our backpack with way too much stuff (mostly my camera stuff – heavy) and headed off. The weather was nice for walking (not too hot and not too cold, blue sky with white fluffy clouds like cotton-wool. 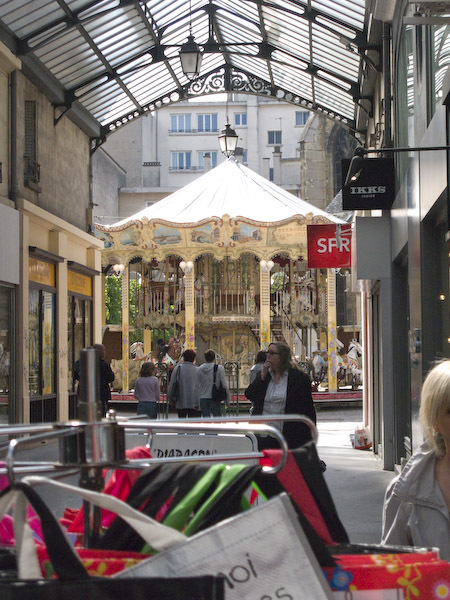 Within ten minutes we were at the main “strip” and started exploring the back streets and galleries of Reims. Absolutely fascinating! We quickly found a really nice toy shop but it was closed but, since it would be open later, we decided it was worth coming back. There were lots of fascinating shops of types which have disappeared (or are quickly disappearing) from UK high streets – why? I think (personal and highly biased opinion here) it is because we have all become too wrapped up in our “packaged” age where everything must be served up already completed and looking ‘nice’. we have become disconnected from the creation process and are too rushed or busy or impatient to be able to create things from scratch. Anyway end of rant (for now 🙂 ) but we wandered past flower shops, bakeries, tea shops, patisseries – all brilliant. It would also seem that the good people of Reims like their shoes judging by the number of shoe shops they have. We then returned to the toy shop to look around. Whilst there Isabel managed to fall down some stairs. Very painful and meant she had a limp for the rest of the day. We did purchase some toys for my grandson Scott (an abacus and a nice noisy harmonica which should annoy his mother – I am such a child sometimes 🙂 ). About lunchtime we went to a patisserie/cafe for some coffee and cake – I had a raspberry tart which was superb and Isabel had a tart au citron which had a soft browned meringue in the middle. I was allowed but the smallest morsel to taste so it must have been very good indeed! After that we decided to explore the cathedral. On the way there we stopped for a baguette (I know that that is the wrong way round – dessert before mains but hey this is our holiday – you can choose how you want to do it on your own). As we wandered to the magnificent building I wondered if the inside could in any way mirror the majesty of the exterior. Oh yes it can – with bells on! What a place. 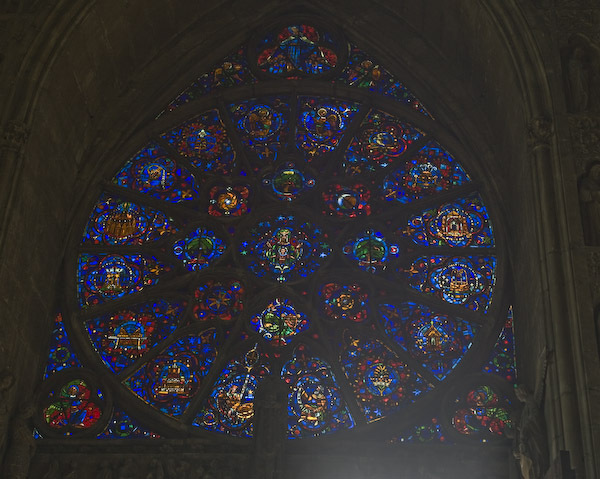 The imposing round windows of the exterior become magically transformed into exquisite examples of the craft/art of stained glass on the inside. Mainly blue they offer a myriad of other colours that almost leave one breathless. They are a bugger to photograph though! We wandered through the the rest of the cathedral finding it almost impossible to take it all in. What impact must it have had on the medieval mind? I am always amazed about the impact of the great European cathedrals on me- what a statement they make! Gods majesty made stone. 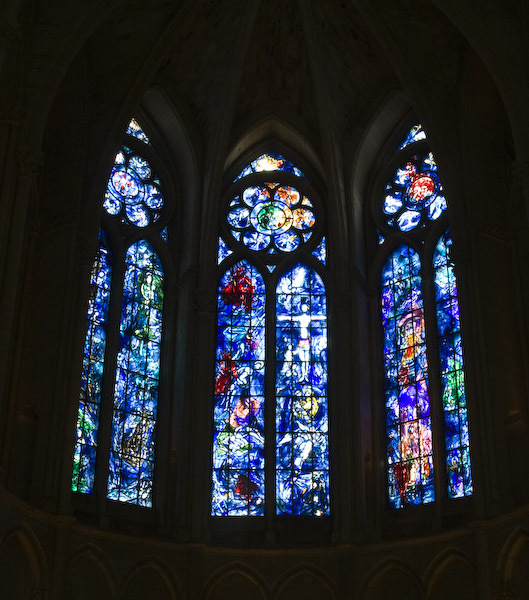 At the far end of the cathedral is a set of stained glass windows by the artist Marc Chagall. Very interesting. Next to that is a little chapel that also has stained glass. 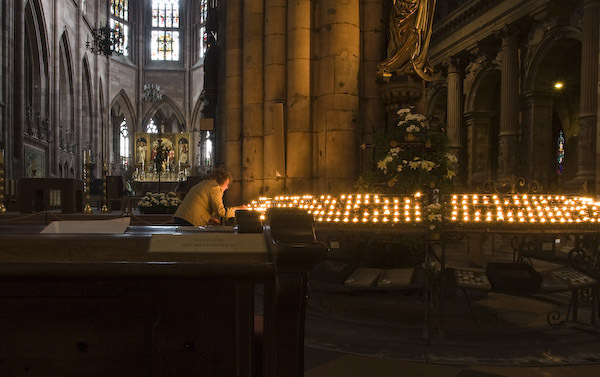 The effect of the light through all of the the glass in the cathedral is amazing and moving. Lit a candle as we wandered back to the front. Just as we were leaving a group of visitors (I presume a choir or similar) began singing an impromptu hymn in the aisle. I don’t know if it was the acoustics of the place but it was a wonderful sound, the slight echo adding so much to the voices. A marvelous moment. Once outside we looked in all of the champagne shops on the cathedral square (Reims is one of the main towns in the Champagne region) looking for a bottle for my sons forthcoming wedding. We found a nice rosé which we purchased and then tried to work out how to get it home (normal people, of course, would do that the other way round but then again who wants to be normal?). Apparently the French Postal Service does a special box for posting Champagne bottles – don’t you just love this country? After sending the bottle on its way we wandered around looking in some more shops and then back to the cathedral square for some good old fashioned people watching (and photographing). After that it was a walk (or in Isabel’s case limp) back to the hotel to drop everything before heading out again to find dinner. Isabel was looking for some Moule et frites which is one of her favourites. There were a couple of restaurants offering that. Unfortunately we choose the wrong one :(. A decidedly average meal (I had calfs liver and mash – OK but nothing special), good house wine (Muscadet) and very poor service (earning a zero on the highly rated and totally prejudiced Fatman scale and the finger from Mr Teddy) but that was more than made up for by the sight of the the cathedral lit up in the dark on the walk/limp back to the hotel. A very good day. 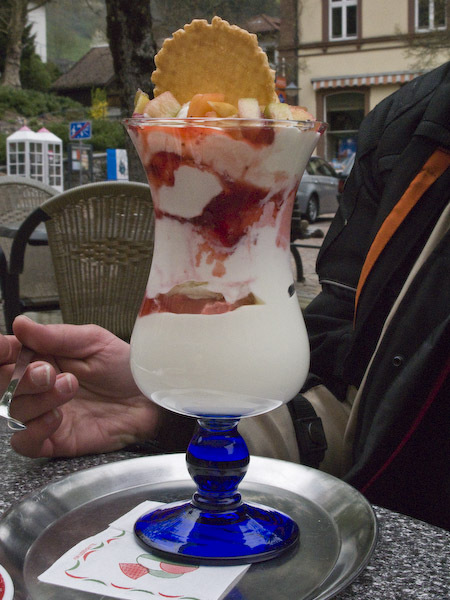 Living in France could make me Even-FatterMan! Woke once again to the sound of rain on the tent. Sky grey and weather cold.Not the best start to a days riding! Once again had breakfast in the tent then had a shower in the main block. Took our time – anything to avoid packing up in the rain. Eventually the rain eased a bit and gave us a gap in which to get everything packed. It was cold work – the temperature was 5°C apparently! Rode the bikes off the grass empty since we hoped that would be easier, loaded up and paid (apparently the public transport tickets yesterday were free – amazing!). 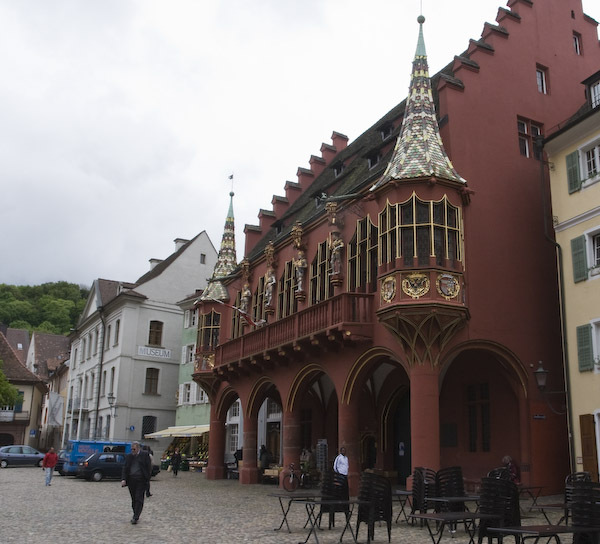 Initially we headed towards Freiburg after getting petrol in Neustadt. We were traveling on the same roads that we saw yesterday from the train. 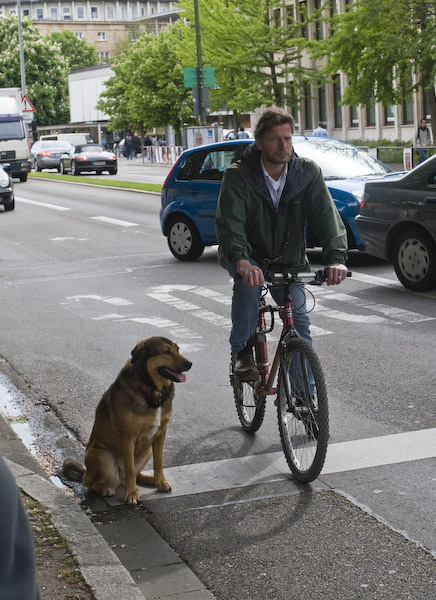 We had wondered then why the lorries, trucks and cars were going so slowly – today we found out. The road itself was twisty, steep and wet. Not a good time to be going fast. At one point the road cut through a cliff with across on the top of it – an ominous sign if you ask me. We also went through a couple of tunnels. The first of these was quite short and the second started in the side of a mountain and ended in Freiburg. A weird experience. 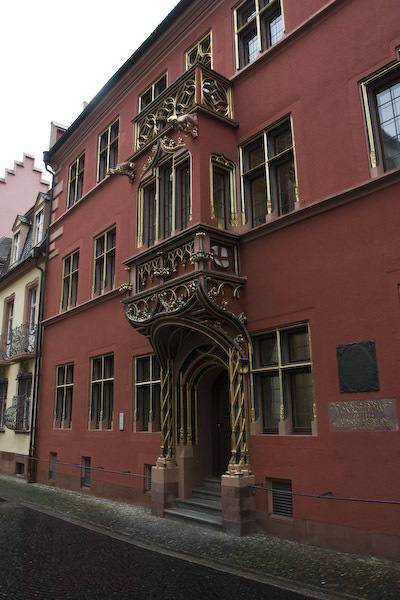 From Freiburg we headed towards Colmar in France. On the way we crossed over the Rhine which, even this close to its source, is a big river capable of carrying some serious river traffic. In Colmar we decided to take a break to warm up so we pulled into an E Leclerc hypermarket and went to an American themed burger bar, complete with a waitress on roller skates! They were playing a DVD of American Graffiti which is a movie I must see at some stage. Isabel had a single cheese burger and I had a double “rodeo” burger. I have to say as an affectionado of burgers that I don’t think I have had a better cooked burger anywhere. It was rare in the middle, juicy and very nice. After lunch we headed towards Nancy and were joined on the road by rain :(. To make up for this the roads went through some stunning scenery. Eventually the rain eased although it remained cold. We also broke our tunnel traversing record by going through a 6950m long tunnel. What an engineering achievement! All for the princely sum of 5.50 Euro. Luckily Isabel had forgotten to put her sunglasses on after lunch so she managed OK in the tunnel. Around Nancy we took a break for coffee and cake (and loo) at a motorway services. There was a primary school party of kids doing the things that kids should be doing. Playing “It” etc. Very refreshing to see. From there we headed towards Reims stopping only for petrol along the way. It was a long trek from Nancy (about 173 miles) but it was mostly on good roads thankfully. 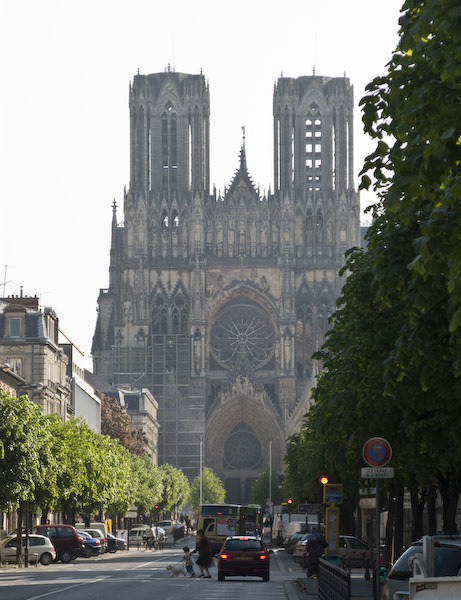 Just as we were flagging we reached Reims and decided to look for a hotel. Unfortunately the GPS had frozen (i.e. crashed) about 40 miles from the city so we had to find somewhere to stop to reset it (the procedure for that is a) take battery out; b) swear a bit; c) mutter nasty things about modern technology; d) put batteries back and e) switch the unit back on). Unfortunately we did this having ridden the wrong way up a one way street and whilst parked outside a Gendarmarie station (they are the armed ones you know) but luckily nothing happened. Getting there we had had our first view of the cathedral – All I can say is “wow”! It is an amazing sight. After changing out of out motorcycling clothes we went in search of something to eat. There are a lot of restaurants to choose from but we eventually decided on the Café Brasserie Martin for the simple reason that it looked nice and we have a good friend called Martin and I am a great believer in irony in food 🙂 We both had steak and chips with 0.5l of the house red (a merlot which was chilled strangely) all very very nice. 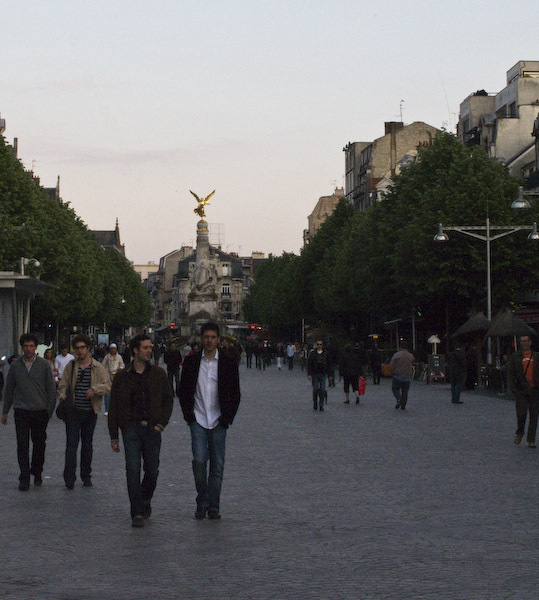 After a coffee we headed back to the hotel through an early evening in Reims. From there straight to bed as were were shattered. Oops, we missed the bus! Although we didn’t ride today we did cover some miles. It had rained during the night and this continued this morning. We were worried about the sidestands on the bikes sinking in to the ground and them falling over.I checked them (and got very wet doing so) at about 3 am and they were, thankfully, OK. Once again we had breakfast in the tent. When the rain let up for a bit we went to the main block of the campsite to wash and check the weather forecast on the internet- it was for more rain!. Whilst there we also got some wooden blocks to put under the sidestands to spread the load. Since we didn’t feel like riding in the rain we wondered what we should do. 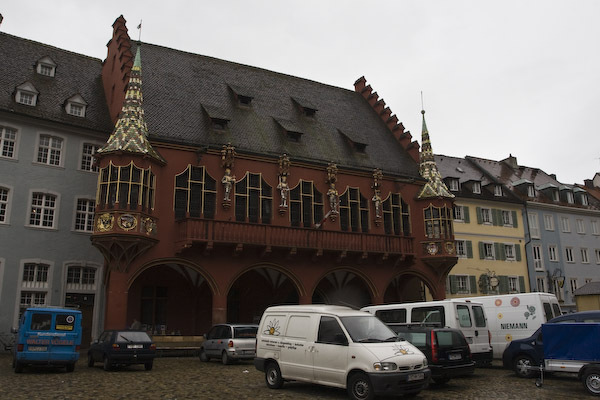 We decided to try the German public transport system and visit Freiburg. 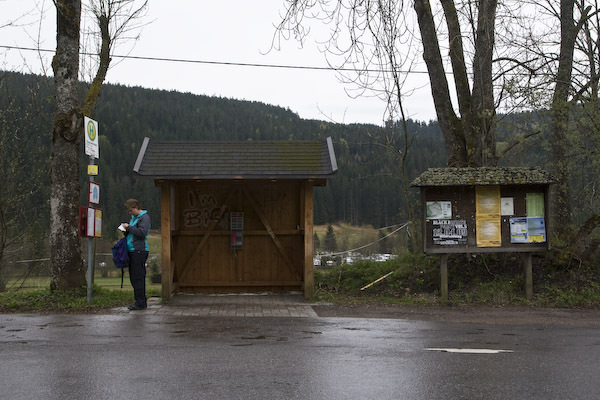 Due to our exceptional and finely-honed planning skills we missed the bus into Titisee. Since it wasn’t far we decided to walk into town despite the drizzle. When we got there we headed for the train station (“Bahnhof”) to wait for the train. Much to Isabel’s delight it was a double decker and we found an empty seat on the top deck (She is such a child sometimes – unlike me, of course- I am a child all of the time!). Anyway the train arrived and left on time. Luckily we survived the shock of that and we were soon wending our way through beautiful mountains and valleys. I wish I were a good enough photographer to convey the beauty of this place. After 38 minutes we arrived at Freiburg station as per the timetable (when will these people learn that this not the proper way to run a railway? 🙂 ). We then headed for the old part of the city which is beautiful. We wandered around looking for the cafe (for Black forest Gateau) we had found on the internet the other day. Unfortunately it doesn’t appear to exist any more. Bummer! 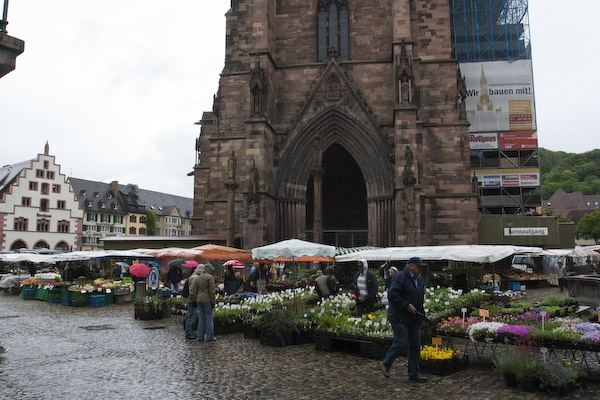 In the cathedral square there was a market on. The quality of the produce was unbelievable. We decided to leave purchasing of fruit and vegetables from the market until later. We did, however, buy a sausage in a roll. Very nice and just what we needed as it had just started raining again. Of course, due to our aforementioned, superior planning skills we didn’t have any waterproofs with us. Typical! From there we wandered through the back streets looking at shops and the historic buildings. Eventually we came across the Cafe Schmidt and decided to see what their Schwarzwald Kirschkuchen was like – All I can say is that I am so glad we did! What a revelation that was!! (If it wasn’t over the top I would add another “!” there 🙂 ). It was light with a crisp thin base. Seven layers (yes I did count them). You could taste the Kirschwasser but not so much as to be overpowering. The cream was fresh, the cherries dark and tart. It was a typical German (read “big”) helping but it didn’t feel it – wonderful – even Isabel, who doesn’t like cherries in any form said she could eat it. She had already opted for a cheesecake though. From there we did some more wandering and then back to the market to purchase food for this evenings meal. Whoops! The market had closed! There was one vegetable stall still open where we bought some tomatoes and two pears which they wrapped in a cone shaped bag. We saw a greengrocers in the corner of the square so we went there for some potatoes. Once again the quality and choice of the goods available was amazing. They even had some small artichokes which I was almost tempted into buying but was not sure how we would cook them back at the campsite. On leaving I counted (because I am actually a very sad person 🙂 ) the number of different type of tomatoes they had – nine (including green ones – great for making chutney) and this was just a small shop! We also visited the North Face shop to look at tents and lightweight waterproofs. 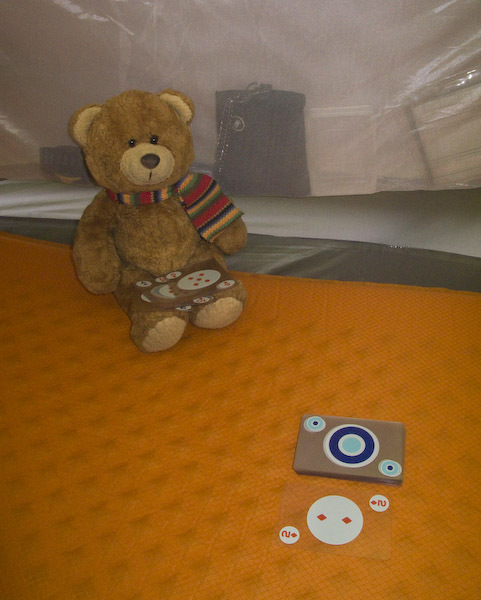 They had the most interesting small (Mr Teddy sized) tents which I can only assume are for demo purposes. They also had rainwear in 3XL (i.e. my size). Amazing – try finding that in the UK! After making our purchases we headed to the cathedral to take a look around.It is currently being renovated in part and you can see the stonemasons at work. Inside it is an amazing place. Lit a candle for my parents and for others we miss. After that we did some more wandering around before ending up in an eiscafe (no shock or surprise on that one really 🙂 ) for a well deserved coffee and ice cream. From there we walked back to the train station via a Tabak shop for some Montechristo cigars – my one weakness (well my one weakness I will admit in public) and a gentleman’s outfitter for some braces as I have been having errr “gravitational” problems with one set of trousers I have with me. We then got on the train which, depressingly, once again left on time for the journey back. 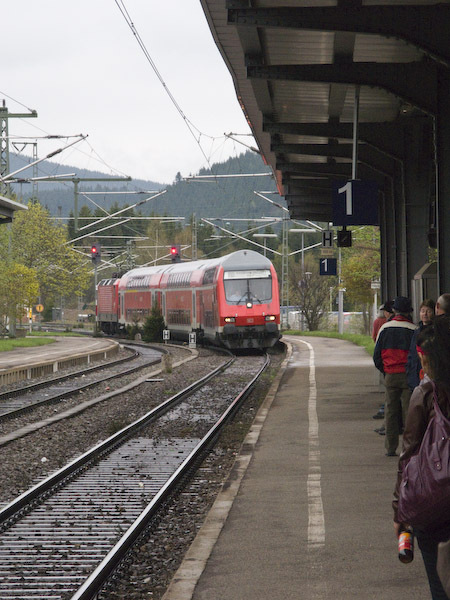 When we arrived back at Titisee the bus pulled up outside the station and we boarded. After a journey of about 10 minutes we got off at the campsite stop for the short walk to the site. 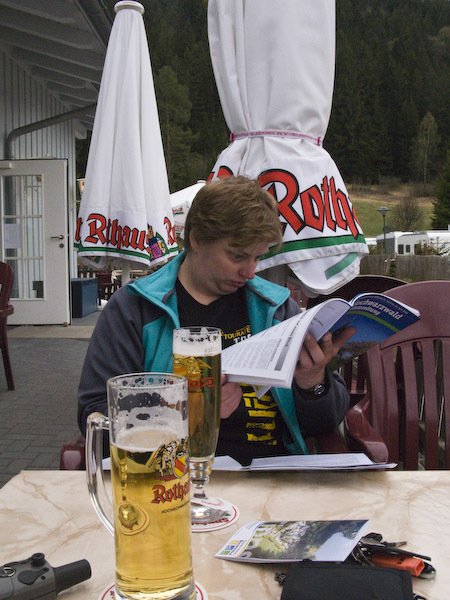 we then had a coffee and Kirschwasser before going back to the tent for dinner and bed. Mr Teddy winning at cards - again! Woke to grey clouds and light rain so we decided to go back to sleep – we are on holiday after all :). The rain put a slight dent in our plans to ride around but nothing serious. We had breakfast of rye rolls, cheese and some very nice smoked Black Forest ham in the tent. We then played cards to while away the time (together with some real coffee from the camp shop which was most welcome). There is, for me, something very soothing about the sound of rain on a tent (well about rain on the outside of a tent anyway!). Eventually the rain eased up although the sky remained grey and cold. 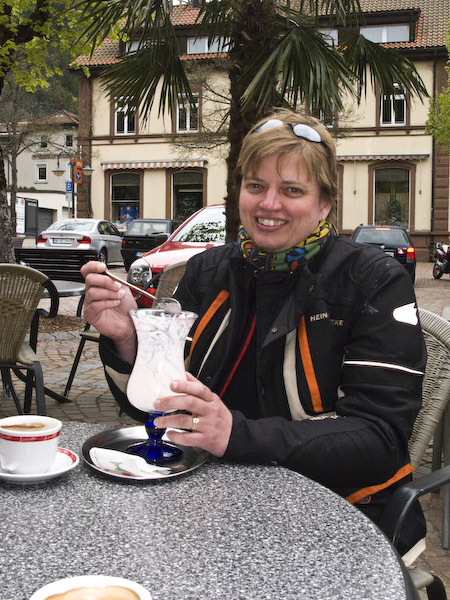 We decided to use the internet terminal at the campsite reception (2 Euros/hour) to update this blog and search for the best Black Forest gateau around here – apparently there is a cafe in Freiburg that does a good one. 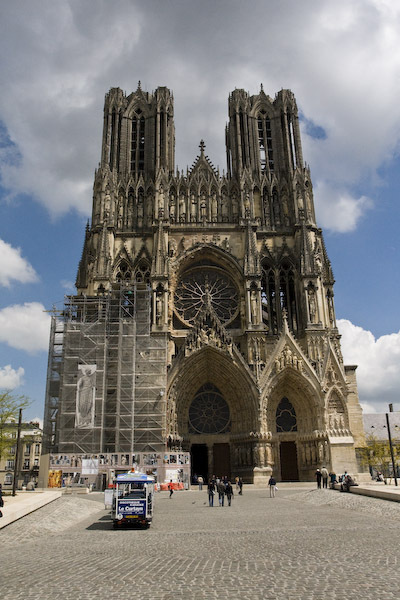 Since it is on our way to France we decided to visit on Wednesday. After that we took our stuff back to the tent and went for a walk in the woods. Initially we went down to the lakeside via some very boggy ground but then we headed up the side of a nice mountain on a path that wandered its way up and to the side of the campsite. At first we walked through pines but then we entered an area of deciduous trees which gave a completely different feel to the path. Not better but definitely different. It was all very beautiful but, of course,neither of us had taken our cameras with us :(. Oh well, it will have to remain a private memory for us both. We wandered as far as the path kept rising and then turned back towards the camp now far below us and seemingly hard up against the Titisee. As we made our way slowly back we looked at the mosses and ferns and fallen trees around us,all of which made a magnificent accompaniment to the tall tall trees of the Schwarzwald. On arriving back at camp we decided to take the bikes and go and look for something to eat this evening. On leaving the site we turned left and headed for the town of Feldburg. We rode through some nice roads and then started climbing. We negotiated a hairpin at the entrance to the town of Bärenthal and turned onto more of a main road climbing all the time through more pine trees. It started getting noticably colder and there were patches of snow alongside the road. These increased in density until we reached the ski town of Feldburg at an elevation of 4093 ft (a record again for us). Since we didn’t see any shops we decided to keep going. We were then confronted by about 5 miles of steep (10% gradient) descents along sweeping roads. We both did this very slowly because neither of us felt completely confident and because the scenery was too stunning to miss. 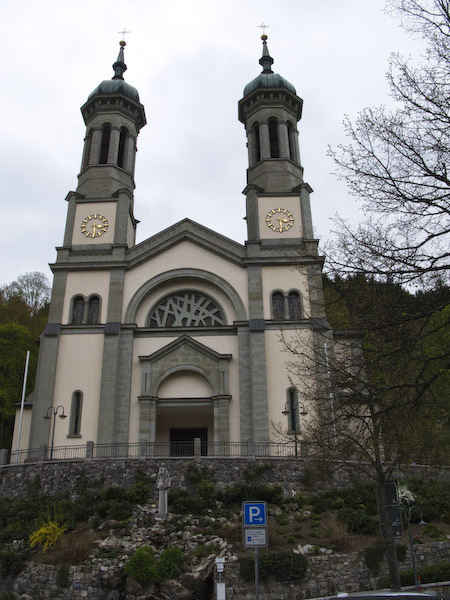 Eventually we came to the town of Todtnau where we turned off and parked the bikes up in front of a very pretty church. We went to the local bakery to get some bread and then had a wander around town before stopping for coffee and ice cream at the local Eiscafe (I may have said this before but I think they are such a civilised idea 🙂 ). You are never going to finish that are you? After that we headed the local Penny Markt (directed by a very nice waitress at the eiscafe) to get something to eat for this evening. We purchased some pork with onions ready to stir fry and some fresh white asparagus (which, while not as good as fresh English asparagus is quite superb in its own right). We then headed back to the campsite (OK we actually headed in exactly the opposite direction – sometimes the GPS is correct!) up into the mountains again. Going up a 10% gradient is much easier than going down. Upon our return we parked up on the grass again and I had a shower – mainly because animals downwind of me were beginning to die in unacceptable numbers. After that we put our tarp up, moved the kitchen under it and went and did some much needed washing of clothes. Whilst waiting we had a coffee then tumble dried what needed to be tumble dried, made food and went to bed. A short day again. 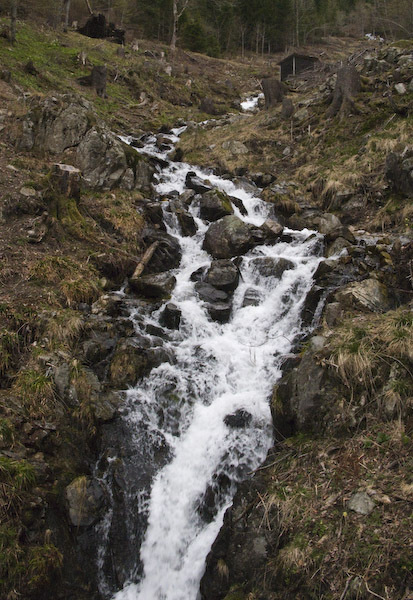 Just a quick hop across to the Schwarzwald (Black forest) which is where some of Isabel’s ancestors came from. After another good breakfast at the hotel overlooking the lake we set off. We had decided to head for the town of Titisee for no other reason than it has a silly name (hey I grew up on Carry-On movies 🙂 ). Again the roads were good and, this time, full of bikes enjoying the good weather. On the way we came across a cafe full of bikes. Naturally we sopped for a coffee and a gaze at all the bikes. Most were German (naturally) with some Swiss and French and two British (us). There was also a Honda Blackbird complete with a sidecar for two – cool! When they left there were four people on board – who says you need a car? After our wander we were back on the road. After some more good roads we arrived at the town and parked up in a large car park. 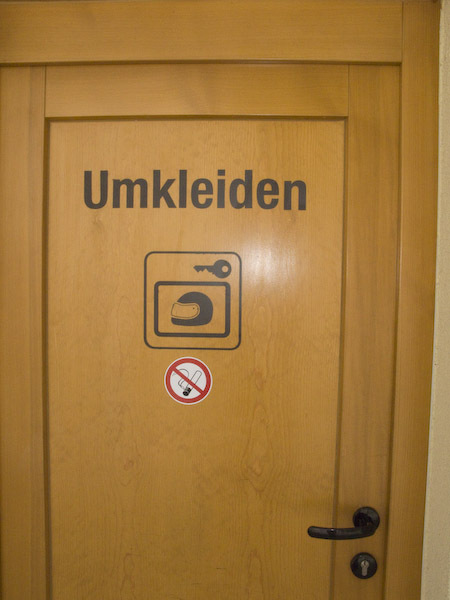 Not only did this have a separate area for motorbikes it also had a changing room (with lockable lockers – price 1 euro refundable) for bikers. I like a country where bikers are not treated as 3rd class citizens. Having deposited our helmets, jackets, camelbaks etc. we headed off to the part of the town on the lake (i.e. 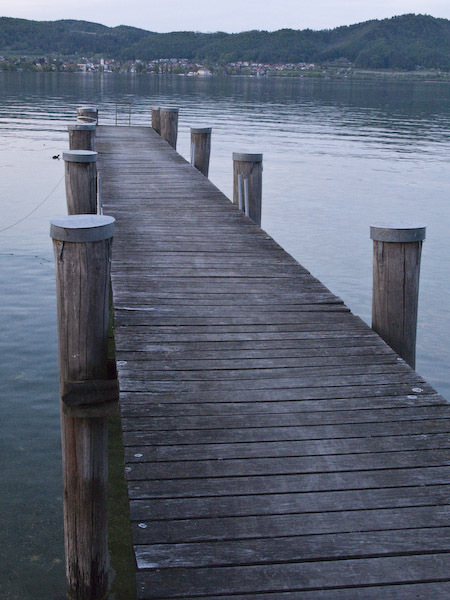 the actual “Titisee”). 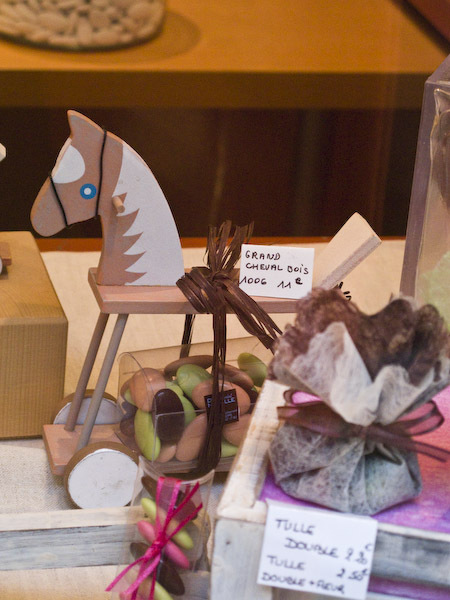 This is very touristy (but then again that is what we are 🙂 ) selling generally the same stuff – quartz cuckoo clocks etc – but a nice little wander anyway. Dish of the day - Good grief! For lunch we went to one of the restaurants that were dotted about. 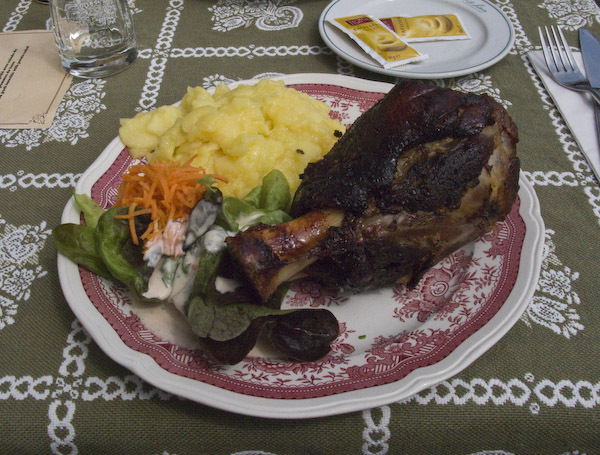 Isabel had sauerbraten and spetzle (a dish her mother made) and I had the dish of the day – Pork knuckle and potato salad -very nice and very big! After that we did a boat tour of the lake (I’m surprised that the boat didn’t sink after that large lunch!) which was quite pleasant. After that we did a bit more touristy wandering looking at all the shops. Then it was back to the bikes to look for a campsite. 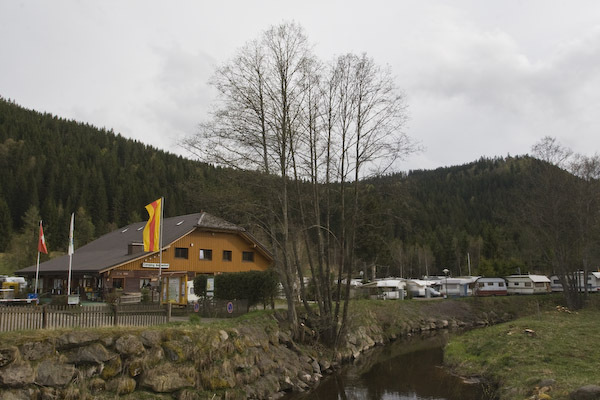 We intend spending some time (about three days) in the Schwarzwald so we will be able to have a base and ride out without the luggage for a change which will be nice. We would have liked one on the lakeside but the road to them wasn’t really suitable for bikes so we chose one in amongst the trees instead. 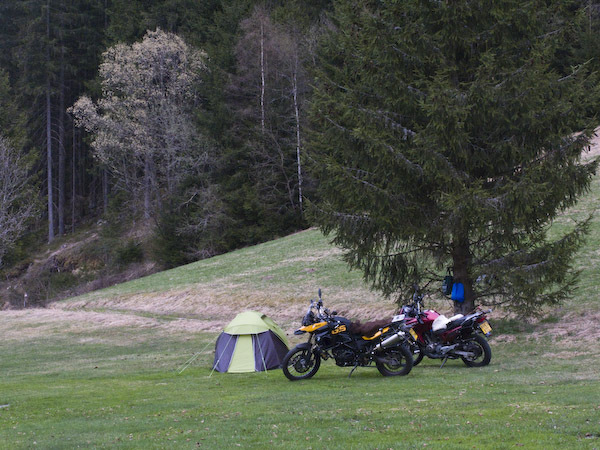 Didn’t check the road in the campsite (which was loose gravel) nor the fact that we had to park the bikes up on a grass slope 🙁 – Oh well we managed it. Anyway we found a nice pitch away from the caravans and mobile homes and up went the tent in quick time. After getting the tent up we went off to get a beer at the campsite bar/restaurant since it had been a very hot day. We also got some bread and groceries from the onsite shop. We then made dinner back at the tent, played some cards and went to bed hoping that the bikes didn’t fall over in the night! Ouch, ouch, ouch, ouch! OUCH! My bum hurts! Yep, a couple of records broken today: Longest distance (343 miles – longest by far!) and highest elevation (3204 ft). After a light breakfast of bread, smoked cheese and coffee while we watched two grebes doing their mating “torpedo” dance three times (something I had never seen) and also watching seven jays fly past in under a minute – wonderful. We packed slowly because we were sorry to go and then left the campsite. After getting back into the swing of biking (it’s like waking up rusty each day) at about Volary. 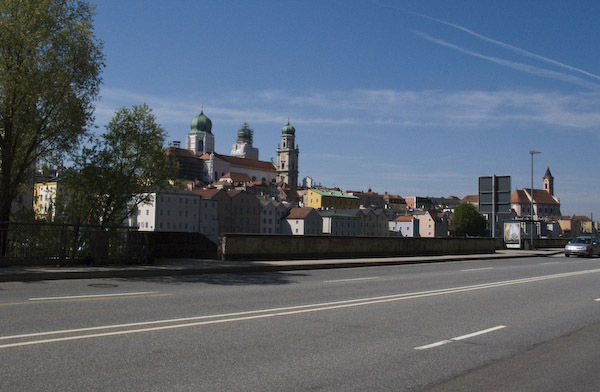 After riding another couple of kilometres we turned on to the A4 towards Passau in Germany. This has to be, quite easily, the best road I have ever ridden! Sweeping curves through pine forests, snow still on the ground in places, mountains all around (it was here we hit our elevation record). Ups and downs, lefts and rights – just a pure joy. The sort of road you could ride again and again and again. Eventually it passes from the Czech Republic into Germany (as road 12) but remains as good. The sort of road bikes are made for. The other big plus is that there is very little traffic. I definitely feel a return visit coming on. At the end the road runs down into Passau on the Danube. Here we could have turned left to Austria but, because of time constraints, we headed into Germany. The town is very pretty as it nestles along the river. We then turned on to the A3 Autobahn towards Regensburg before turning onto the A92 towards München. Miles upon miles of motorway riding to look forward to – nice! We stopped off at an Autohof (motorway services) for a bite to eat and petrol. We decided to try currywurst just to see what it was like and, to be honest, it wasn’t bad. The München ring road (similar to the M25 except that it works) then on to the A56 with the snow capped German Alps in the distance. Now that is motorway riding 🙂 (I love mountains – not climbing them – I am a fat man after all – but they just bring me joy). After another stop for coffee and cake/ice cream and we were off again. After about 50 miles we were finally off the autobahn and on to side roads again. These were almost as nice as the roads this morning but not in the same way. 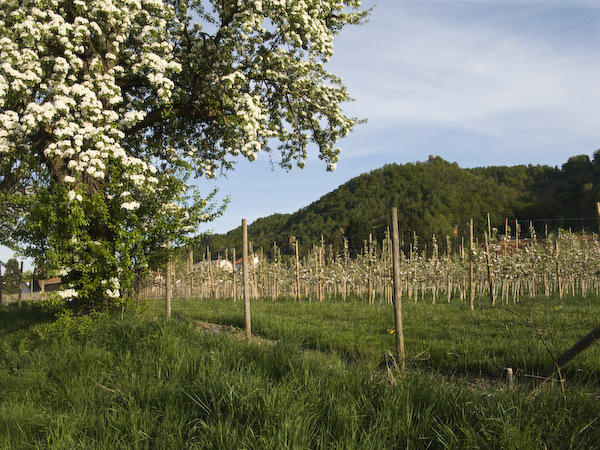 They were more gently curved through a lot (and I do mean a lot) of orchards full of young fruit trees in full blossom (I am guessing apple mostly). Absolutely stunning. Having changed we had dinner on the lake terrace (on the lake edge) watching ducks, coot and grebes and smelling the ozone smell of a freshwater lake. Does life get any better? As the sun went down I had a schnitzel Forest style (i.e. with mushrooms) and Isabel had one with ham – very nice. The beer (Alpizsbacher Klosterbräu) wasn’t bad either. Some planning followed (with coffee) and then bed. These are the days touring on motorbikes are about! Long distances can be done if you take frequent breaks to stretch your legs but they still hurt! What a night! We had fallen soundly asleep (and the beer consumed during the evening might have had something to do with that 🙂 ) when we were awoken by a very loud sound like an alarm. Eventually we traced it to the water system and found that flushing the toilet fixed the problem at least temporarily. It was difficult to sleep afterwards and when we had drifted off into a light slumber it happened again. Luckily that was the last time. When we woke in the morning we were very tired. Had a breakfast of ham and eggs (Adrian), eggs and bacon (Isabel) and a long smooch (Mr Teddy). We left by 09:00 which was a record for us I think. After filling up with petrol (which took longer than was strictly necessary thanks to the GPS) we joined the motorway, which was actually a very nice road. The confusing thing about Czech (and for that matter Polish) motorways is that the junctions are not sequentially numbered as in the UK but are given rather in kilometers from the motorway start point. Once you get used to that it is fairly easy to navigate. At the Brno race track junction we headed off the motorway and cross country on normal roads. Initially this was OK but then between Třebeč and Telč it was little short of stunning! Lots of curves with correct camber running between trees and lakes. Very very beautiful. There were, admittedly, some parts that were a bit degraded but nothing dangerous and these were easily offset by other bits that were superb. And the fun didn’t stop at Telč. The road continued being nice after that as well. After stopping for petrol again we stopped for lunch at Jasosov nad Než at a restaurant there. We had errrrr pass to be honest but it was very very nice. I had meat with pickled cabbage and bread like dumplings and Isabel had chicken with flat rounds of errr don’t know. Replete we set off through the town of Ceské Budějovice (home of the proper Budweiser and a very nice little (ok big) town) and then off towards the small village of Cernà v. Posumavi which sits besides a big lake. 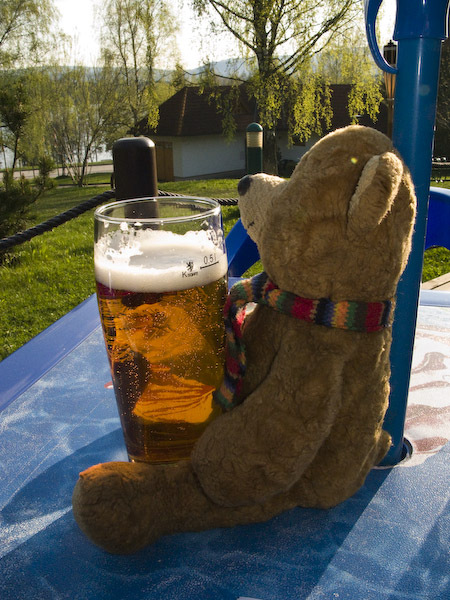 Mr Teddy and a beer - normality restored! 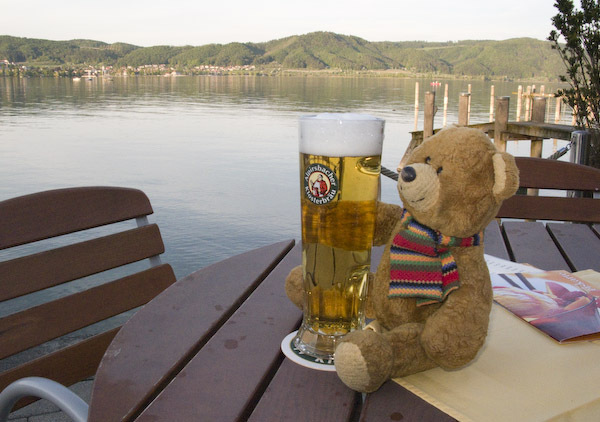 After setting the tent up we set off for a walk to a nearby hotel overlooking the lake for a beer (Mr Teddy and Adrian) and a coke (Isabel) on a very nice spring evening. Blue sky, stillness and a great view- wonderful! We also managed to do some planning for the next day which was a bonus. 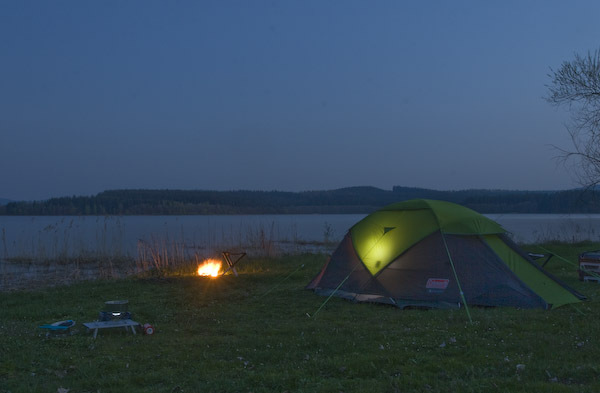 After that we wandered back to the campsite to cook an evening meal of sausage and onion – we really know how to live like kings 🙂 Since the campsite allowed small campfires we had a great evening sitting around one watching the sun go down – days don’t get much better than this.